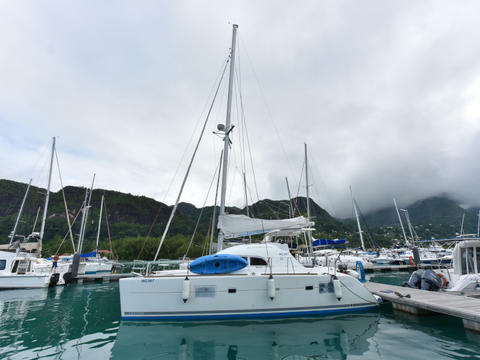 Boat type ----------------------- Sailboats - all - Sailing catamarans Charter country ----------------------- Seychelles Charter area ----------------------- Indian Ocean - Seychelles Port ----------------------- Please choose a country! We offer both private cruises and cruises per cabin. We can also organise stays of less or more than 1 week. Thanks to our crew our boats are extremely well maintained. Generator and watermaker are on board for your convenience. Our prices are not hiding any surpluses. Free of charge : use of kayak, use of fishing equipment, use of snorkeling equipment. A top chef is there for you (option). 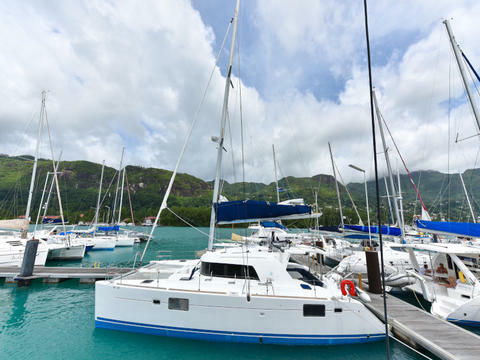 We rent only with skipper, that way our Lagoon 440, stays in TOP FORM. Hope to welcome you on board.